Service Animals – David M. Kulawiak, Inc.
Service Animals, Assistance Animals, Therapy Animals—What’s the Law? Guide dogs and service dogs have helped individuals with disabilities navigate life for decades. 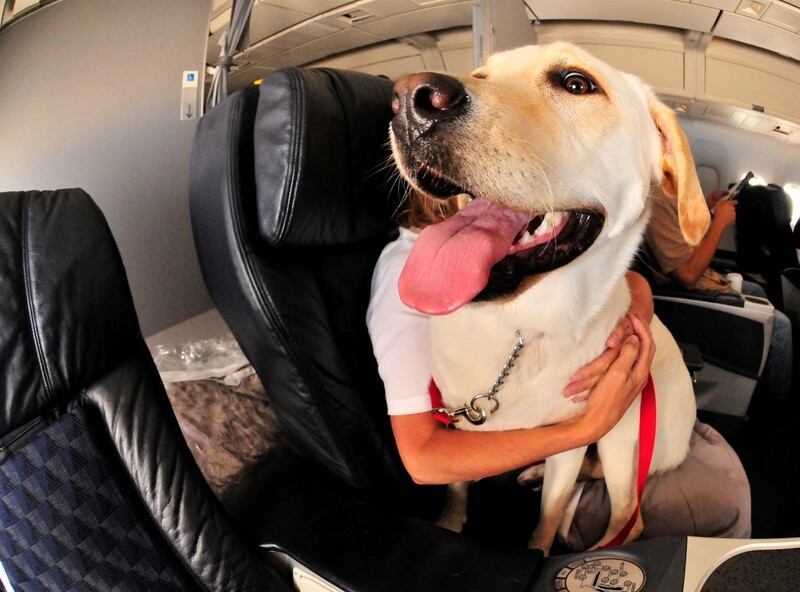 Now you also see assistance animals, therapy animals and emotional support animals. What’s the difference and what’s the law? Many people legitimately need service, support or therapy animals, while others use the “therapy animal” name and even fake vests and registries to sneak their pets into public places. So what rights do users of service animals have? Employment discrimination: Title I of the Americans with Disabilities Act (ADA) prohibits disability discrimination in employment. If employees or prospective hires need a service animal, you cannot prohibit them from having the animal at the work-site. You can ask the nature of the services the animal performs, but you cannot ask about the nature of the person’s disability. Discrimination in public accommodations: Title II and Title III of the Americans with Disabilities Act (ADA) prohibits privately owned businesses that serve the public, such as restaurants, hotels, retail stores, taxicabs, theaters, concert halls, and sports facilities, from discriminating against individuals with disabilities. The ADA requires these businesses to allow service animals onto business premises in whatever areas customers are generally allowed. As with employers, owners or managers of public accommodations can ask about the nature of the services performed by the animal, but not the nature of the person’s disability. To qualify as a service animal, two conditions must apply: the person must have a disabling condition and the animal must be trained to perform a specific task or tasks. If they meet the definition, the ADA considers animals service animals regardless of whether they have been licensed or certified by a state or local government. Some people use therapy dogs or emotional support dogs. These animals may provide therapeutic or emotional support to a person with a mental health disability, such as PTSD. They are not trained to perform specific tasks; instead, their mere presence has a calming effect on their owner. The FHA, Fair Housing Amendments Act of 1988, allows therapy or emotional support dogs to be kept in housing with pet restrictions. If the owner has a verifiable disability, the animal is a “reasonable accommodation.” HUD specifically states that “while dogs are the most common type of assistance animal, other animals can also be assistance animals.” Title II and Title III of the ADA do not view emotional support animals, therapy animals and comfort animals as service animals. This means that, outside of housing and air travel, owners of therapy or emotional support animals have no legal right to bring their animals into places where animals are prohibited, even with a doctor’s letter. The ADA and other anti-discrimination laws are complex. Running afoul of them can lead to discrimination claims, fines and negative publicity. A good liability insurance policy can help protect your business from the cost of defending discrimination claims and paying damages, if any—please contact us for a policy review.